Explainer: What are the 1987 State Papers and what do they reveal? IT was Ireland’s year of agony and ecstasy. Over the course of 1987, the country witnessed some of the proudest sporting, cultural and political developments of modern times. In stark contrast though, were the horrors surrounding the Northern Ireland conflict that made many, including UK prime minister Margaret Thatcher, wonder whether the Anglo-Irish Agreement of two years earlier had made things worse rather than better. At the Remembrance Day ceremony at Enniskillen on November 8, an IRA bomb killed 11 people and wounded almost 70 others. Many of those who survived were left with life-changing injuries. The atrocity would go down in history as one of the worst attacks of the entire Northern Ireland conflict. What are the main points from the State Papers? Charlie Haughey was warned by loyalist paramilitaries that MI5 ordered his assassination, declassified state papers have revealed. Gay Byrne and Charles J Haughey in 1987 during the Late Late Show tribute to The Dubliners on their 25th anniversary - all the action is revisited tonight, 30 years on. Ireland considered the Iran-Contra affair, including the use of forged Irish passports and CIA-chartered aircraft carrying munitions via Shannon Airport, as “minor, purely bilateral matters” with the US. Confidential briefing notes for Taoiseach Charles Haughey in advance of his visit to Washington from March 16-18, 1987, revealed that Department of Foreign Affairs staff wanted to familiarise him with various issues relating to Irish-US relations, including the escalating Iran-Contra scandal in the US. Birmingham Six member Paddy Hill wrote a scathing letter to the new Fianna Fáil government in 1987 accusing them, like other Irish administrations, of having effectively abandoned Irish citizens to the fate of serving lengthy sentences after blatant British miscarriages of justice. The letter, released as part of the 1987 State archive, revealed how some Fianna Fáil politicians, including senator Paschal Mooney, were pressing for a much tougher stance to be taken by Dublin with London over the fate of the Birmingham Six, the Guildford Four and the Maguires. 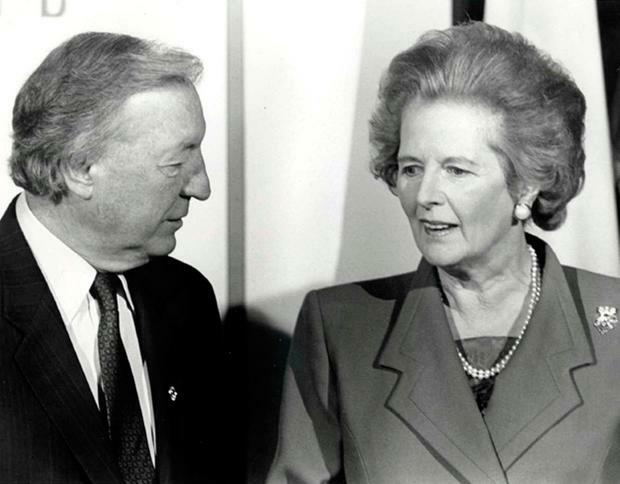 Irish diplomats warned Taoiseach Charles Haughey that UK prime minister Margaret Thatcher’s fear was an IRA assassination of a member of the royal family would derail the Northern Ireland peace process. In a secret assessment of British political priorities following Ms Thatcher’s 1987 general election victory, Irish Embassy officials warned Mr Haughey and foreign affairs minister Brian Lenihan that Ireland would not be the priority for the new UK government. The briefing was so secret it had to be hand-delivered by special courier to Dublin. Compiled on June 18, one week after Ms Thatcher’s thumping general election triumph on June 11 over Neil Kinnock’s Labour Party, the briefing highlighted security concerns as the greatest threat to Anglo-Irish relations. It acknowledged that Ms Thatcher was acutely conscious of the potential consequences if the IRA succeeded in killing a royal. How did the world react to the atrocities in Ireland at the time? 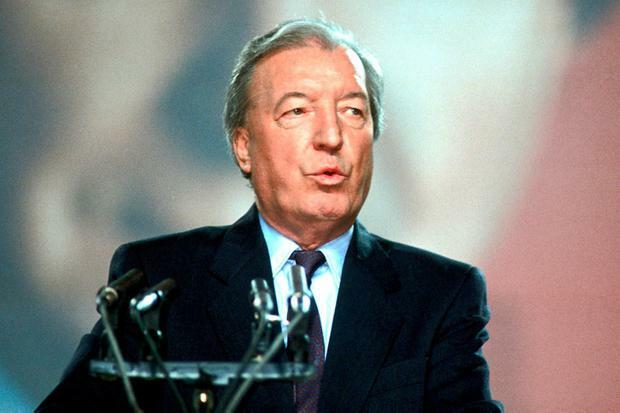 The horror of the attack echoed around the world and the new Dublin administration of Charles Haughey found itself swamped by messages of condemnation of the IRA attack from all corners of the globe. In May, an IRA unit attacked a local RUC barracks in Loughgall and partially blew it up with a bomb mounted on a digger. However, in the gunfight that followed, the entire eight-man unit was killed as an SAS team supporting the local RUC engaged them. A civilian was also shot and killed by the SAS in the cross-fire. Fears over the upsurge in violence even extended to North Africa with Libya’s Colonel Muammar Gaddafi at the centre of repeated reports he was clandestinely supplying the IRA with Russian-made assault rifles and even the powerful Czech-made plastic explosive Semtex. 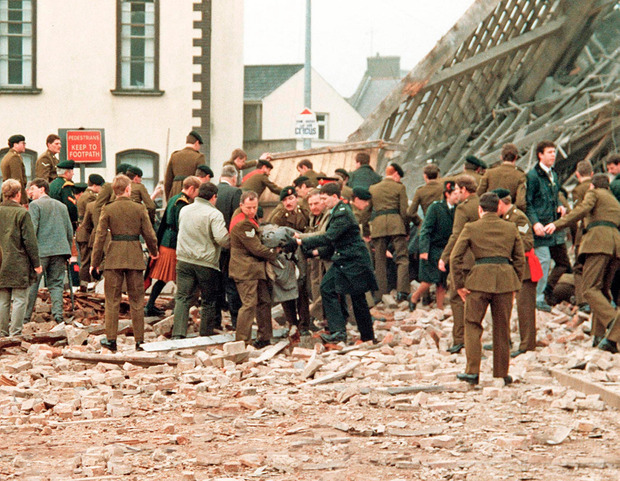 The IRA’s ferocious new capability was demonstrated when a Northern Ireland judge and his wife were killed by a roadside bomb just minutes after crossing the Border. Several rugby players, travelling in a separate car in the opposite direction, were injured by the bomb blast. How were Anglo-Irish relations impacted? Dublin and London worked hard to implement new security arrangements while trying to defuse an international row over difficulties in new Irish extradition rules. The architect of the Anglo-Irish Agreement, Taoiseach Garret FitzGerald, departed both office and the Fine Gael leadership after losing a February general election to his arch-rival, Fianna Fáil’s Mr Haughey. 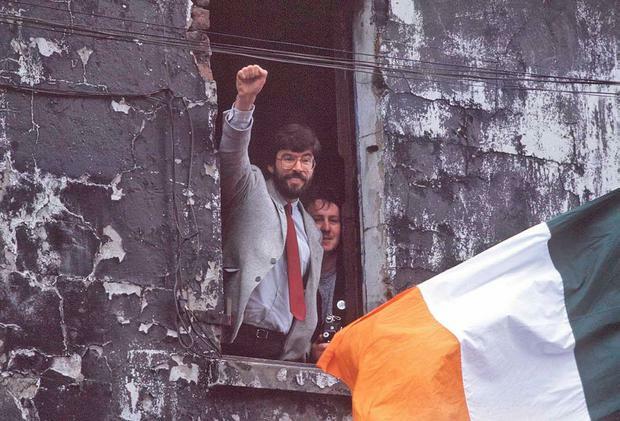 The 1987 General Election was also the first contested by the fledgling Progressive Democrats, which won 14 Dáil seats and almost 12pc of the popular vote, significantly denting Fine Gael’s electoral hopes. Alan Dukes was elected to the Fine Gael helm after edging out former tánaiste Peter Barry. The new government initiated a radical cost-cutting programme aimed at restoring the public finances and sparking a long-overdue economic recovery. Among the measures proposed by Mr Haughey was the new International Financial Services Centre (IFSC) in the former Dublin docklands. The recovery approach was aided by Mr Dukes and the so-called Tallaght Strategy, whereby the government of Mr Haughey was supported if it was following policies that Fine Gael endorsed. The long-awaited National Lottery was launched, while Irish cars adopted a new style of licence plate, still in use, which identified the county where the owner resided and the year of registration. Ireland also found itself in European headlines after the Single European Act (SEA) was delayed because of a legal challenge taken by Raymond Crotty, who argued that the measures included in the SEA needed to be ratified by referendum. The Supreme Court agreed and a referendum had to be hastily organised. On the sporting front, Ireland celebrated a historic triumph as Stephen Roche became the first Irishman to win the prestigious Tour de France amid incredible scenes in Paris. Irish soccer fans also celebrated as the Jack Charlton-led ‘Boys in Green’ qualified for their first major finals with a miraculous concluding series of results in their Euro ‘88 qualifying group which booked them a place in the finals in Germany. On the cultural front, U2 followed up their hit album ‘The Unforgettable Fire’ with ‘The Joshua Tree’, which became one of the most acclaimed releases of the year. The album was a huge success, particularly in the US, and helped make U2, in the words of Bruce Springsteen, the hottest rock band on the planet. In domestic sport, Meath broke Cork hearts to win the All-Ireland football final as both counties emerged from the shadows of rivals Dublin and Kerry. In hurling, Galway cemented their dominant status with a thrilling Liam MacCarthy Cup victory over Kilkenny, while the Irish Open golf was won by Germany’s Bernhard Langer. Ireland also bade farewell to several of its best-known characters from the worlds of politics and entertainment, with the deaths of TV star Eamonn Andrews and Fine Gael stalwart Oliver J Flanagan. Among the most high-profile births in 1987 were Dublin GAA star Diarmuid Connolly, golfer Shane Lowry and soccer player Shane Long.